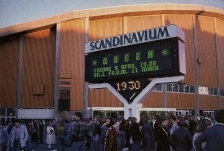 Queen's first show of 1982 is their first in Sweden since 1978. Their show has undergone some major changes. They have a new keyboardist, Morgan Fisher, playing in the background. Morgan is probably best known for being a member of Mott The Hoople in the 70s, including when Queen opened for them on a couple tours. 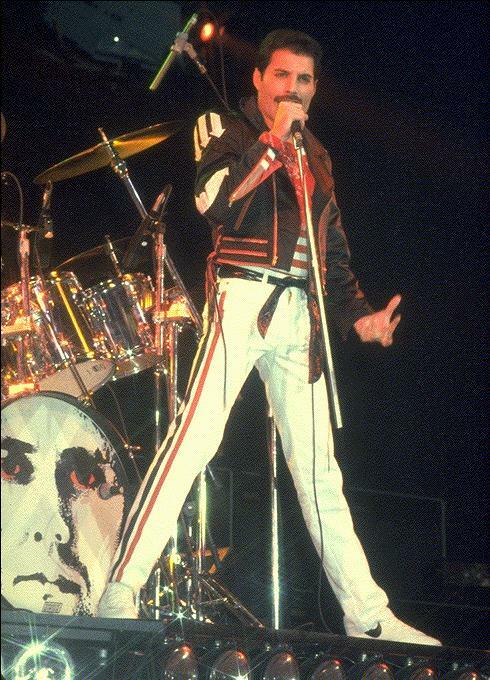 Another Queen connection of his is a short-lived progressive rock band he formed in the early 70s (simply called "Morgan" - whom Brian saw numerous times in 1972-73 at the Marquee Club in London) with Tim Staffell, the singer of the pre-Queen band Smile. Fisher plays Freddie's piano for Crazy Little Thing Called Love each night where he'd get his moment to shine. 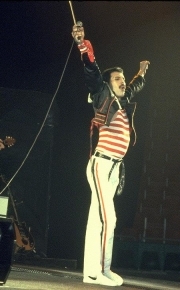 He would remain on board through the end of the European and UK shows. 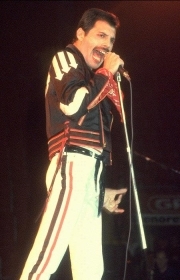 While the band would normally only need a few nights to become comfortable with a setlist on any given tour, it would take them nearly a month in the spring of 1982. 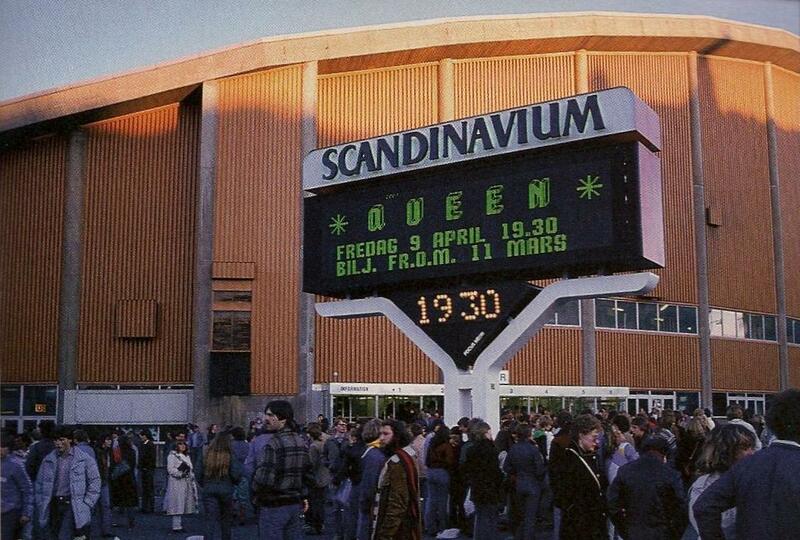 In fact, throughout the year it was rare for two consecutive shows to have the same setlist, unlike previous tours. 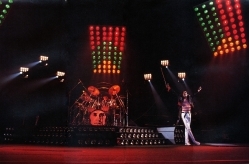 All of the shows in April are unique, as the band are going through such an experimental period with the newly-recorded Hot Space album under their belt. This is the only time when they would have a rotating setlist, before finally achieving their optimal song selection by early May. Still, they would continue to experiment, moving Sheer Heart Attack from the encore to the second number of the set a few times in May, for instance. Freddie's music listening habits have clearly shifted in the previous few months, as his vocals have an r&b flavour throughout the year. He would be in excellent voice throughout the European tour (peaking in late May to early June), and still very strong overall in North America and Japan. 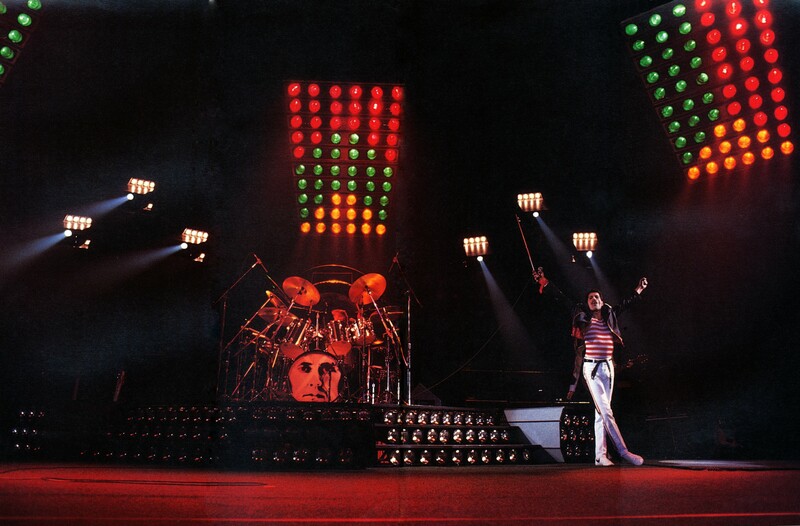 Most of the tracks on Hot Space would be performed this year at one point or another, although some would be unfamiliar to most European audiences because the album was released in the UK (and most of Europe) on May 24. 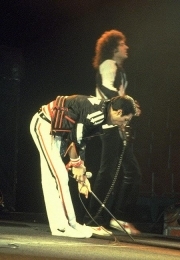 Action This Day was a mainstay in the setlist over the year, and Staying Power was heard almost every night in Europe, so both were most likely performed on the opening night of the tour. The first four pictures were submitted by Harry van Hofwegen, the fifth one was submitted by Janneman. Pics 4 and 5 were taken at the exact same moment from two different angles (the latter was taken by Denis O'Regan).